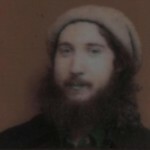 “Thankful for the Internet Sacred Text Archive’s John Bruno Hare (1955-2010)” is shared by Aharon N. Varady with a Creative Commons Attribution-ShareAlike 4.0 International copyleft license. 2010-04-28 – 15 Iyyar 5770 at 7:59 pm · Reply. For an insight into who John was as a fun person, his band page provides some great flavor.